Tom is a pioneering journalist, writer and social entrepreneur whose thought leadership has created breakthrough opportunities for stakeholders in the sport, health, media and philanthropy sectors. He also is author of the influential book, Game On: The All-American Race to Make Champions of Our Children. He founded the Aspen Institute’s Sports & Society Program, the mission of which is to convene leaders, facilitate dialogue and inspire solutions that help sport serve the public interest. Two years later in 2013, he introduced Project Play as a venue to convene leaders and create resources to build healthy communities through sports, starting with access to quality sport activity for all children, regardless of zip code or ability. Tom’s work as a journalist has been recognized among the nation’s best and most innovative. In 1996, he left the Seattle Times as an award-winning investigative reporter to join the internet startup Starwave, where he served as deputy editor and helped develop the website that later became ESPN.com. In 1998, he became the first ESPN reporter to deliver cross-platform enterprise packages. His ESPN contributions over 21 years helped build the reputation of the television show Outside the Lines, with his stories earning many national honors, including two Emmys, a Edward R. Murrow Award, an Alfred I. duPont/Columbia University Award (ESPN’s first) in 2014, and best network television documentary award from the National Association of Black Journalists in 2017. His stories also appeared on SportsCenter, E:60, ABC’s World News Tonight, Good Morning America, and This Week with George Stephanopolous. At Aspen and ESPN, Tom has advanced dialogue on the largest themes at the intersection of sports and society, from education to ethics, globalization to race. His 2008 book Game On, an exploration of contemporary youth sports, has been used as a text on many college campuses, and the Project Play reports he has co-authored have shaped the strategies of many organizations, including foundations, media companies, and recreation providers. The Nation wrote in 2017 that Tom “has done more than any reporter in the country to educate all of us about the professionalization of youth sports.” He is a graduate of the University of Florida, where in his free time he played many sports, just none of them very well. Jon is a journalist, storyteller and communicator whose work supports the Sports & Society Program's mission to convene leaders, facilitate dialogue and inspire solutions that help sports serve the public interest. He oversees the program’s communications platforms, edits and writes reports, develops original content, and manages select projects within Project Play and the Sports & Society Program, including Healthy Sport Index and the Future of Sports conversation series. He authored the program’s State of Play: Mobile County report and co-authored the program’s annual national State of Play reports and its Future of Football white paper. Prior to the Aspen Institute, Jon was an award-winning sports journalist covering college football and NCAA issues with 20 national honors in his career. Most recently, he worked as a national college football reporter at CBSSports.com and was vice president of the Football Writers Association of America. At The Birmingham (Ala.) News, Jon twice won national Associated Press Sports Editors awards for investigative stories. He was also a Clemson sports beat writer for The (Columbia, S.C.) State and The Anderson (S.C.) Independent-Mail and covered high school sports for The Washington Post. He has regularly appeared as a commentator on national TV, radio and podcasts. In Jon's spare time, he takes turns coaching soccer and baseball teams in Maryland for his two sons, Daniel and Josh, while his wife Mandy teaches kids and often serves as team mom. Josh says he likes his dad's job at Aspen better than when he was a sportswriter because now "you're helping kids." Ranya joined Aspen Institute’s Sports and Society Program in 2017. 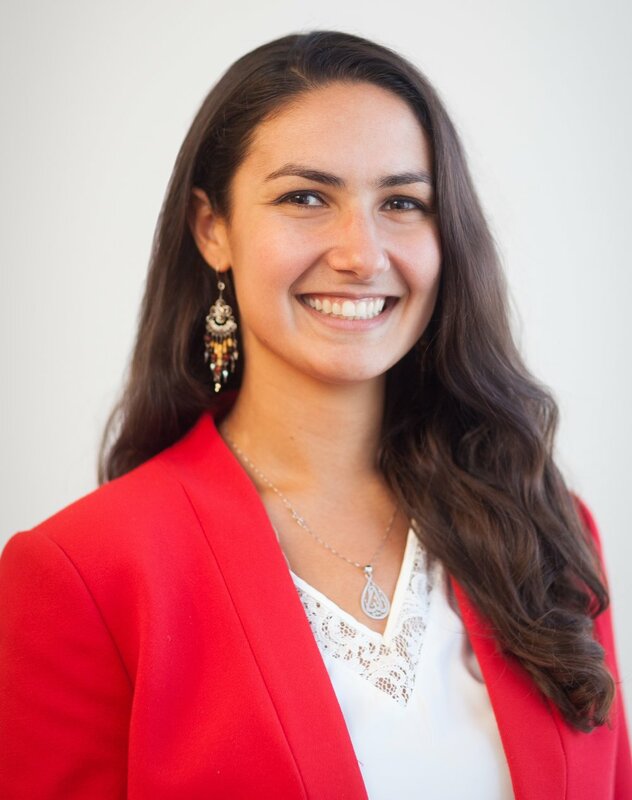 She leads Project Play's community efforts in Harlem and Hawai'i and manages Project Play’s online technical assistance platform to guide community leaders through landscaping their state of play and mobilizing leaders. Ranya holds a B.A. in Sociology and International Development from the University of Maryland and a M.S.Ed in International Educational Development from the University of Pennsylvania. Having stepped onto the basketball court at the age of 4, Ranya has a particular interest in early childhood and sports, aspiring to blend her passion for international education and sports to develop psychosocial and socio-emotional interventions through play. A native New Yorker, Ranya has adapted to maintain free play as a common thread through her life, discovering the opportunity for play in all facets of her surroundings. She continues to sample multiple sports in her free time. 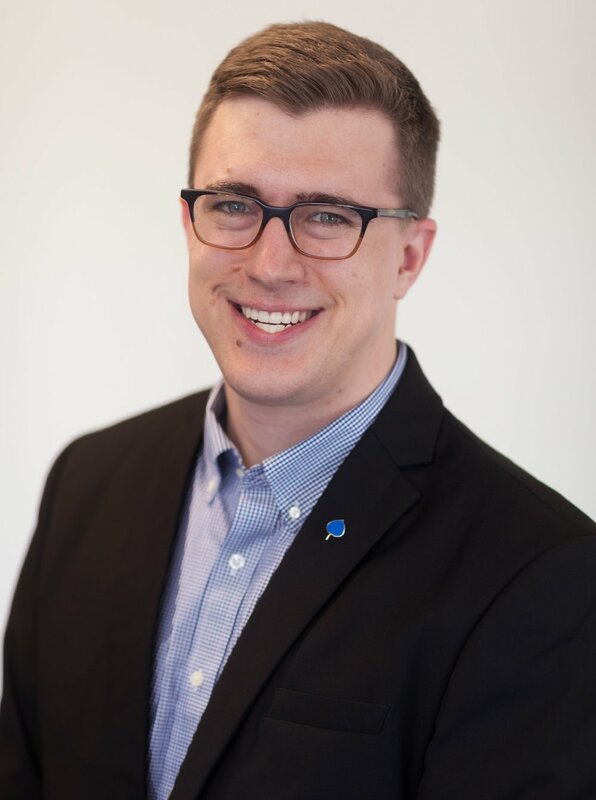 Martin is a Project Coordinator of the Sports & Society Program and leads the program’s Project Play work in Southeast Michigan, Western New York, and Greater Rochester and the Finger Lakes, in partnership with the Ralph C. Wilson, Jr. Foundation and regional community foundations. His work builds off the 2017 State of Play reports in those regions, the program’s groundbreaking first studies of how a discrete region serves its kids through sport, on which he served as a researcher and contributor. Martin is a northern Michigan native and holds a B.A. in comparative cultures & politics and international relations from Michigan State University’s James Madison College, as well as a master’s degree in Sports Management from the George Washington University. He joined The Aspen Institute in March 2018 as program assistant. He has also served as a project assistant to the International Olympic Committee at the Rio 2016 Olympic Games, event manager of the Sports Industry Networking and Career Conference, and research assistant at the American Association of Geographers. He is passionate about the power of sports as a unifying force for good. Outside of work, Martin supports free play by hiking and urban exploring. Emily oversees the groundbreaking Project Play 2020 initiative dedicated to raising youth sport participation rates and related metrics. She also assists with the annual Project Play Summit, the nation's premier gathering of youth, sport and health. In her prior work, Emily developed youth education and advocacy programming in infectious diseases, harm reduction and drug policy in Seattle and Washington, D.C. She solidified her focus on public health prevention models in youth development and collective impact at Search Institute and The Forum for Youth Investment. A proud Minnesotan-turned-D.C.-transplant, Emily graduated from St. Olaf College with a self-designed major, Public Mental Health: Wellness and the Arts, which explored the intersection of mental health, theater, creative writing and psychology. As a former multisport athlete, she believes in the power of equitable access to sport sampling to help young people develop physical literacy and social/emotional skills. In her free time, Emily enjoys multisport “retirement” by crisscrossing D.C. by bike, regularly contributing to her family’s group text and volunteering with D.C.’s harm reduction community. Funmi joined the Aspen Institute Sports & Society Program in 2018 as an intern, assisting with the annual Project Play Summit. She is now a Program Assistant and supports the team’s projects and initiatives, including assistance in organizing the Summit. Funmi holds a B.S. in Sport Management from Mount St. Mary’s University (MD). Though her athletic career ended in the fourth grade, Funmi has kept active in sports through her work as a women’s basketball team manager in high school and college. She also volunteers at a local basketball camp held in Bowie, MD. Funmi is a D.C.-area native, having grown up in Silver Spring, MD. In her spare time, she enjoys reading, watching Nollywood shows and films, and searching the DMV for the best churros.